How much previous dance experience does my son/daughter require to apply for the Associate Programme? We don’t have a set grade that dancers must have reached or a minimum number of years’ experience to apply. We would recommend speaking to your local dance teacher first to see if they would recommend that your son/daughter should apply for our Associate programme. We live between two centres. Can I apply for both? Yes, on the application form you are able to select a first and second choice for Associate classes. Is there a minimum or maximum height my son/daughter should be to apply? No, there is no enforced minimum or maximum height. When will I find out whether my son/daughter has been selected to audition? Everyone who submits an application is invited to audition, as long as they fulfil the age requirements. Information regarding audition dates and times could be sent up to two weeks before the audition date, however we do try to get these emails out as early and as quick as possible. I can’t attend the audition at the centre I’m applying for, what shall I do? On the application form you will need to select where you would like to take class and where you would like to audition. These can be in two different locations, please click here to see our audition dates. Do parents or teachers get to watch the audition? No, the audition is a closed process, as those taking part must not have any distractions. For the preliminary auditions, applicants are invited to take part in a normal ballet class. What do you look for in an audition? Our panel is looking for the individual’s potential and suitability for pre-vocational training. Our panel also look for a number of other attributes including musicality, flexibility and coordination. Will my son/daughter have to do anything on their own in the audition? No, the audition class runs in the same format as a normal ballet class. They may be asked to do some exercises in a small group or pairs. How many students will be selected from auditions? Following the auditions, approximately 10-15% of applicants will be accepted on to the Associate Programme. If my child is successful when will they start class? All our Associate classes start in September and finish at the end of June/beginning of July. Fees vary depending on the number of Associate classes in the year, please click here for more information. Do you offer any financial assistance for classes? No potential student should be deterred from applying to The Royal Ballet School due to lack of financial means. The Associates Programme is generously supported by the Leverhulme Foundation, the J Edward Conway Fund and the Hine’s Fund to offer means tested financial support for course fees and uniform costs. The School is currently able to offer means tested support to qualifying families. For households with a gross income under £47,000, awards ranging from 15-90% are available for those who fulfil the criteria. Do you offer any financial support if I have to travel a long way to the nearest Associate centre? With the generous support of the Leverhulme Foundation and the Hine’s Fund we are able to offer Associate students travel bursaries, for those who travel 75+ miles to their Associate classes. Will my son/daughter be involved in any performances? Associates are occasionally asked to take part in productions by The Royal Ballet, Birmingham Royal Ballet and visiting companies. Are there any trips included in the programme? 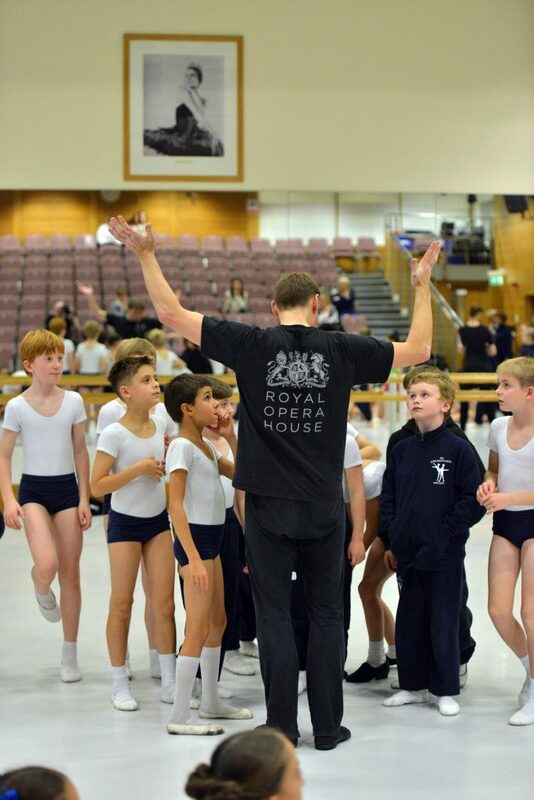 The school aims to invite all Associate students to attend one pre-general rehearsal at the Royal Opera House in Covent Garden during the year. In addition, we try to invite students to attend a workshop held at the Upper School to enhance their Associate training. Can I continue with my regular dance classes if I am accepted onto the course? The School’s policy is to provide training for Associates alongside their regular dance lessons and value is placed upon the support of an Associate’s local dance teacher. An invitation will be sent out to local dance teachers inviting them to observe an Associate class at a time convenient to him/her.